UPDATE!! Bravo’s Friends To Lovers Melanie Marden Responds! – GOSH!About: Fashion. Art. Music. Events. TV. Non Profits 'N' Lifestyle > Subscribe now! UPDATE!! 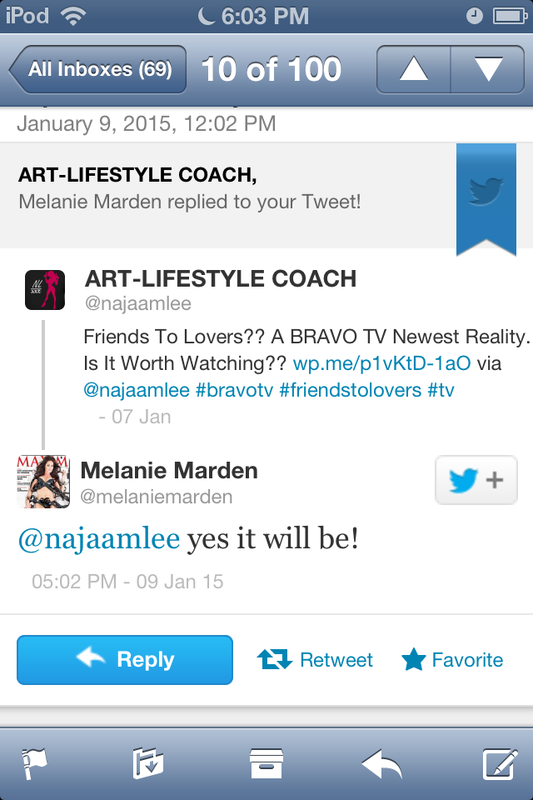 Bravo’s Friends To Lovers Melanie Marden Responds! UPDATE!!! Friends To Lovers?? A BRAVO TV Newest Reality. Is It Worth Watching?? Bravo TV has a new jump off coming this month. In fact starting next Monday, January 12 at 10PM eastern, called Friends to Lovers. The show is about dating your best friend. Is it possible to do that? and what are the consequences of such actions? Now, I wonder if this will be a ” scripted ” show? or will they actually be following real sets of friends to see if this will happen? For some, this is coming in flat on the plate already. Does this show have any chance in succeeding past its first season? So its a date! See you Monday night at 10PM eastern on BRAVO TV! I’m excited about this show becuase i’ve had crushes on my friends before and never done anything about it. I think the black couple and the 2 guys look pretty interesting.